O Coffee! Thou dost dispel all care, thou are the object of desire to the sholar. This is the beverage of the friends of God. "In Praise of Coffee" - Arabic poem (1511). The coffee tree is indigenous to the rain forests of Ethiopia. It is a small tree that still grows today under the Ethiopian rain forest canopy, mostly higher up on the mountainsides (Limu). This wild coffee was consumed by Ethiopians in various forms (often eaten green and ground) for thousands of years. 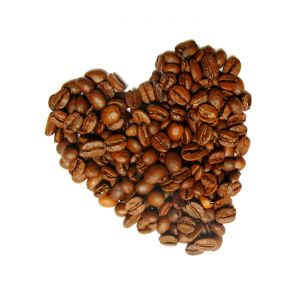 The first cultivation of coffee was in Yemen, across the short stretch of Red Sea from Ethiopia. It is thought to have been introduced in the sixth century by Ethiopians, who invaded and occupied Yemen for about fifty years at that time. Coffee received its major boost with the rise of Islam which outlawed alcohol and adopted coffee. It was even called qahwa, the old Arab word of wine; from which the name "coffee" is thought to derive. Initially coffee was mainly used by Arab Sufi monks, but by the fifteenth century it was being consumed by everybody throughout the Islamic world in ubiquitous coffee houses called kaveh kanes. Legend has it that the Arabian monopoly on coffee was broken by a Muslim pilgrim from India called Baba Budan. Sometime around 1650 Baba smuggled seven seeds strapped to his body out of Mecca. Planted near Chickmaglur in southern India, these trees are parents of most coffee trees in the world today. This region of India today still produces great coffee (Mysore). 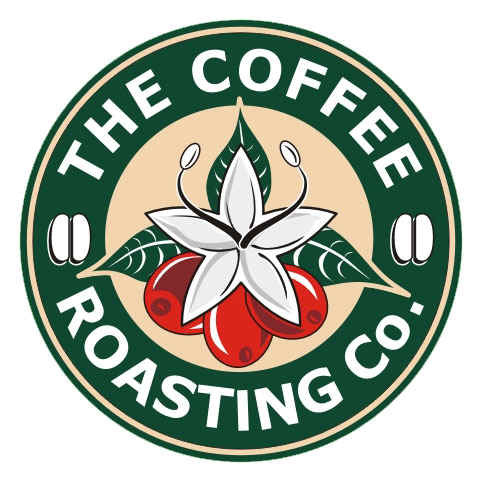 The next great chapter in the spread of coffee around the globe was driven by the Dutch East India Company, which obtained seedlings and started cultivation first in Ceylon (now Sri Lanka) and later in their Batavia colony (now Java, Indonesia). In 1652 Cape Town becomes an early player in the history of coffee, as it is established by the Dutch East India Co. as a re-supply depot on the coffee route back to Amsterdam. Those very earliest Dutch settlers introduce coffee as a drink to South Africa; a tradition that has never left us. In Europe the coffee power shifts from Venice, which was the main port of imported roasted Arabian coffee, to Amsterdam, supplying Europe wth freshly roasted Java. Louis XIV, king of France, became an ardent coffee drinker. In 1715 the Dutch presented him with one coffee tree as a gift and the first greenhouse was built in Paris to house this extraordinary tree. The royal botanists manage to cultivate a string of seedlings from the tree. In 1720 South America is introduced to coffee as a result of the heroic efforts of Chevalier Gabriel Mathieu de Clieu, a French officer. Unable to talk the royal botanists out of some seedlings, he steals them. On the sailing ship to Martinique in the Caribbean de Clieu becomes a hero protecting the coffee seedlings. First a fellow passenger tried to destroy them. Next the ship barely eluded pirates. Then the ship nearly sank in a storm. Finally it was becalmed and water on board grew very scarce. By this time only one little seedling had survived and De Clieu shared his meagre daily water ration with it. It survived and was planted on Martinique. Within fifty years the plantations on Martinique had over eighteen thousand trees. Coffee spread accross South America from there. Still today, millions of trees in South America originate from one tree given to Louis XIV in 1715. In the First World War coffee became the most popular drink in the trenches of France and Belgium. In 1917 the US Quartermaster shipped over 13,000 tonnes of roasted and pre-ground coffee to Europe (mostly cheap Brazilian). By the time it reached the front it was beyond stale. This situation was made worse by standard army regulations that coffee be brewed on a daily cycle where the grounds were left in the pot until the next meal and only a little new coffee was added with new water. To quote from a soldier's diary "[the coffee was] a flat, stale and unprofitable mess which resembled nothing so much as dishwater". General John "Black Jack" Pershing, supreme commander of the American Expeditionary Forces in Europe cabled authorisation for roasters and grinders to be shipped to Europe. E.F. Holbrook, a New Hampshire grocer, was assigned to the Quartermasters Department and put in charge of coffee. He duly modified the standard brewing instructions. The roasters were set up with the army bakeries and soldiers received freshly roasted, freshly ground and freshly brewed coffee with every meal. Morale improved. At the height of the war army roasters were roasting over 340 tones of coffee every day. It is of course fair to say that Pershing also had his eye on the additional space created on the ships, since green coffee takes up less than half the space of roasted coffee. After Pershing's vision to take the war our of the trenches and move with speed behind the German lines to cut supply routes, the battles at Meuse-Argonne and St Mihiel brought victory to the allied side and a conclusion to the Great War. A generation of coffee-loving veterans returned home.